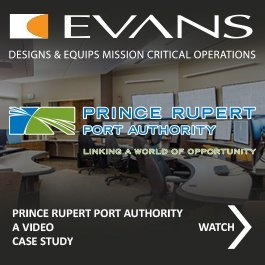 Meeting the demands of today’s Traffic Management Center’s, EVANS solutions are designed to support the operational and technology requirements of your organization. Our solutions incorporate the necessary components to support the number of processes, procedures, and technologies aimed at making roads and traffic efficient during times of congestion and emergencies. Supporting your day-to-day operation, our solutions encompass a variety of components and features for improved visibility and communications. At EVANS we understand that during times of road congestion, emergencies, or extreme weather conditions the function and demand of your control room shifts – making incident detection, managing, rerouting, and communication to motorists, local authorities, and media outlets imperative. Designed to meet your operational and business objectives, our solutions support your team’s efforts for safer, more efficient roads - enabling improved communication and coordination between an operator and key stakeholders. Our ergonomic solutions integrate a range of accessories and options that consider the placement of equipment, range of motion, environmental controls, and various other factors that impact daily operations and overall work environment. Advances in our control room components mean they can be adjusted to accommodate the individual operator’s preference which improves their productivity and overall health. Our team’s combined expertise can help you plan and design a solution for your operational success. We develop our products and applications with a forward looking approach. Understanding your existing operations, we work to determine your immediate and future needs. The flexibility of our products means that aesthetics and operational functionality are consistent throughout periods of growth, made possible with additions to existing products. Our strict safety standards are applied to everything we do, both internally and externally. Our certified teams of installers adhere to all safety regulations and standards, ensuring a safe installation for everyone involved. Our teams also take additional site-specific training as needed to ensure we meet your safety protocols. We also recognize we may be working in secure areas, and work with you to ensure our team members understand and fully comply with all security protocols.